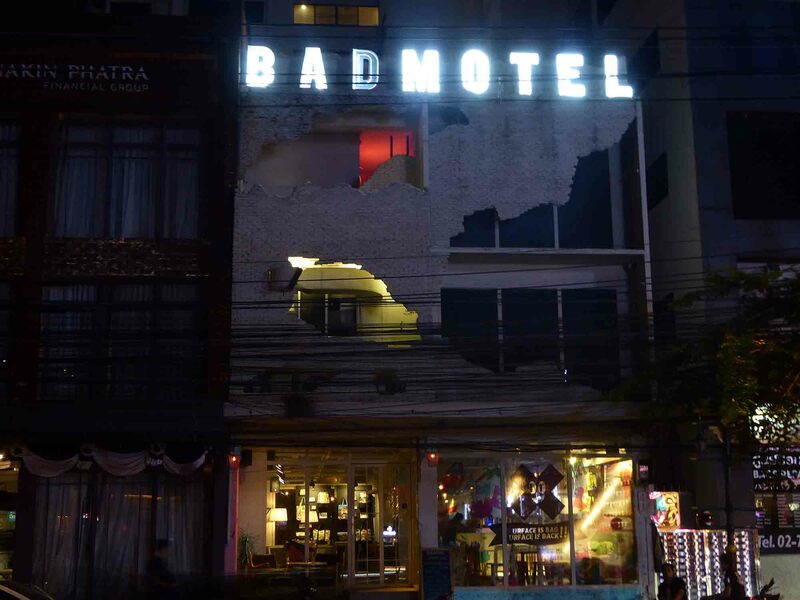 The Thonglor- Ekkamai (Sukhumvit Soi 55) and (Sukhumvit Soi 63) neighborhood is a more sophisticated nightlife area. 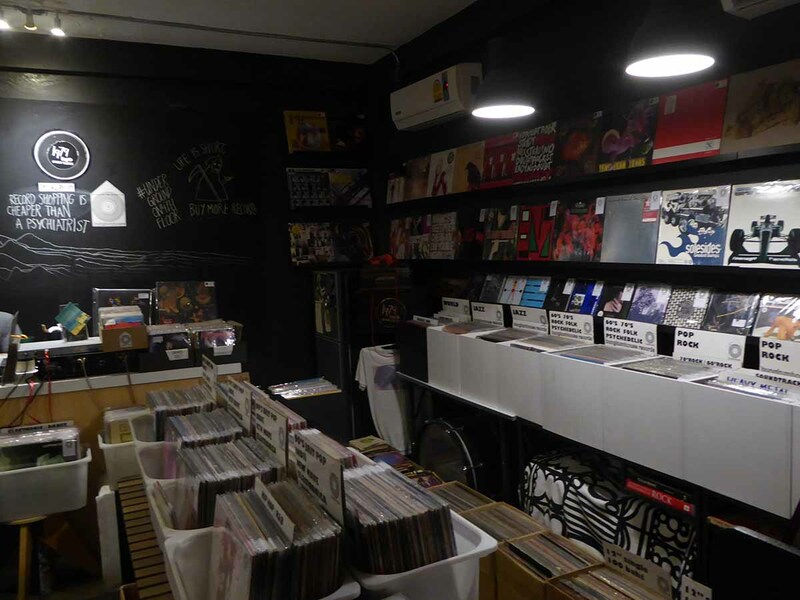 There’s a mix of trendy bars, cafes, music bars, clubs, boutique & vintage shops, and lifestyle malls. 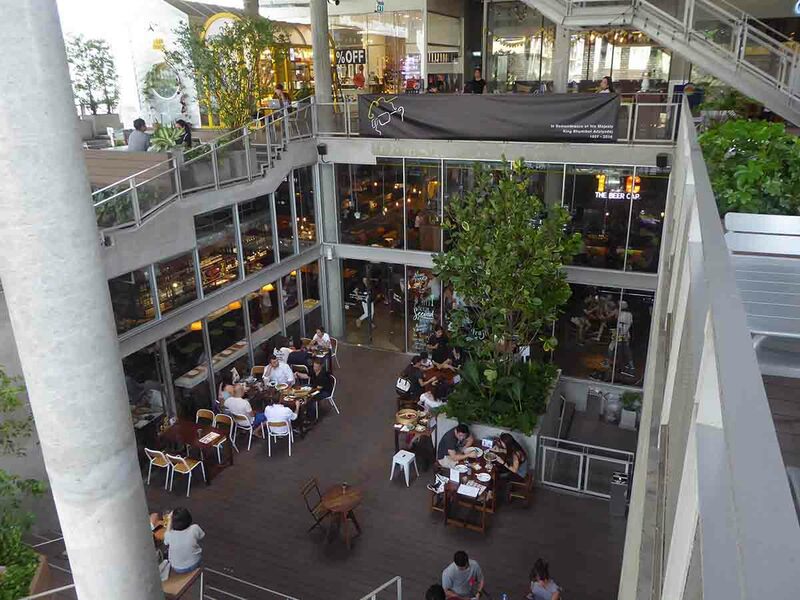 The area attracts a mixed crowd of expats and fashion-conscious professional Thais. The two roads run parallel to each other and are only a five-minute walk apart. There is no daytime sightseeing in the area, though the BTS isn’t far away and there are plenty of taxis. The area is at its best at night offering a different experience from the more tourist dominated neighborhoods. 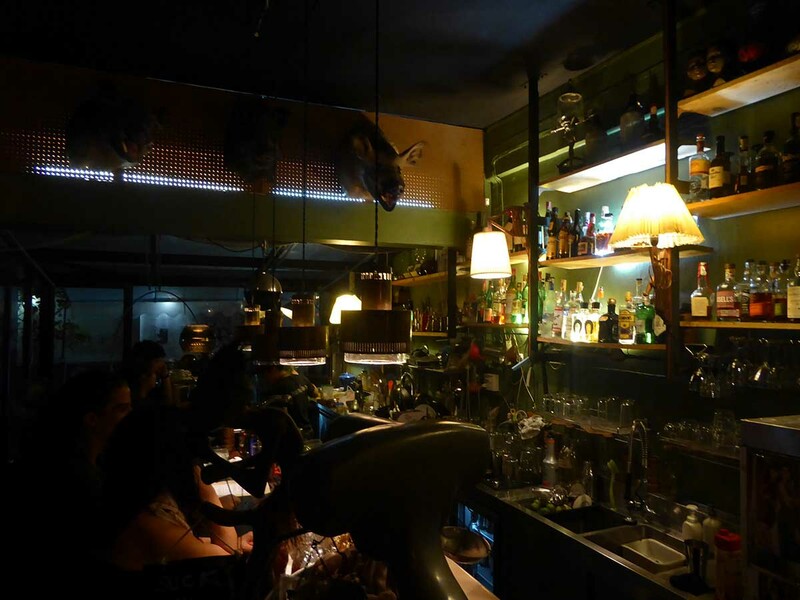 There are loads of cool bars and dining choices. All kinds of cuisine are available with some of the best casual and mid-range dining in the city. There are no large malls and shopping consists of small community malls and small stand-alone shops. The area is great for vintage, designer clothing, and accessories. 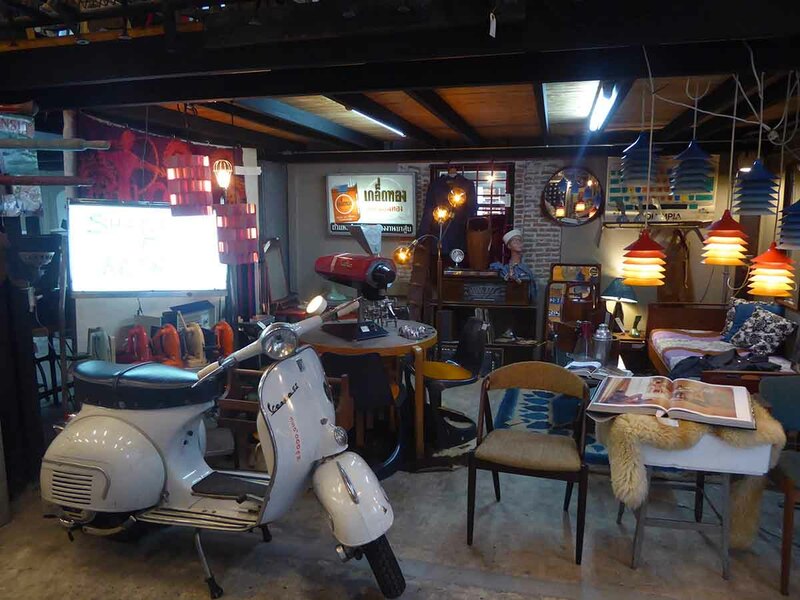 Also retro furniture & collectibles, vinyl records and more. Accommodation is limited with only a small choice of budget, boutique, and mid-range hotels. The BTS has stations at the Sukhumvit end of both roads. The Khlong Saen Saep Express Boat has piers at the other end. 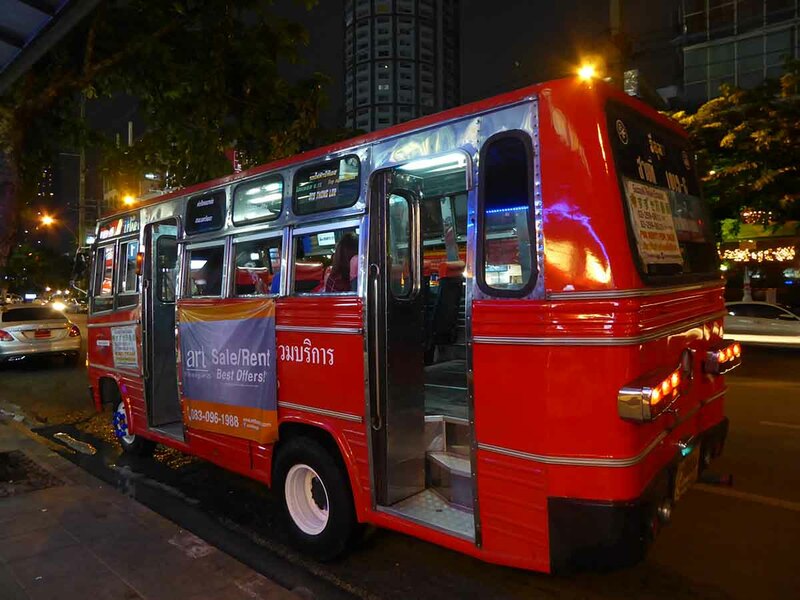 A local red mini-bus runs a shuttle service up and down Thonglor. A few city buses run up and down Ekkamai.